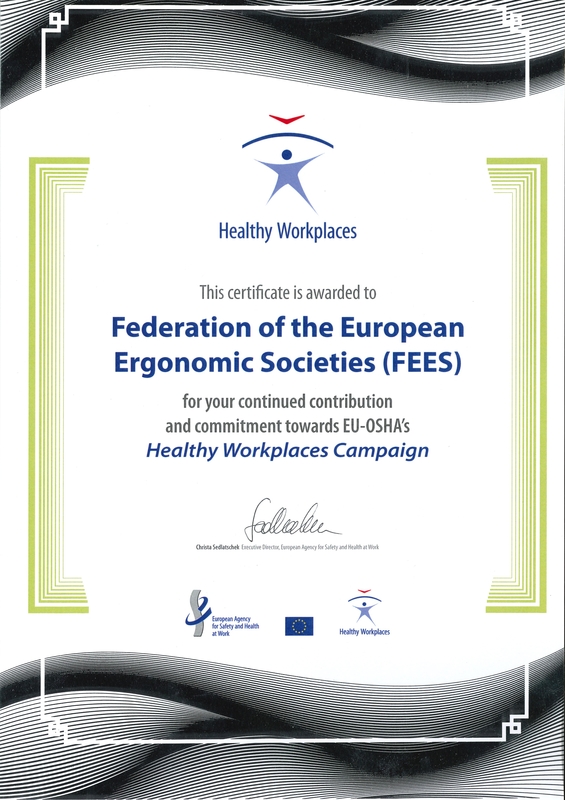 The Federation of European Ergonomic Societies (FEES) has been awarded for the continued contribution and commitment towards the Healthy Workplace Campaign of the European Agency for Safety and Health at Work. The Healthy Workplaces Campaigns have been running since 2000, and several topics highlighted the importance of good ergonomic design as the best way for risk prevention, e.g. 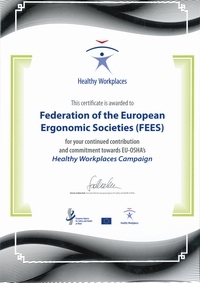 FEES decided to dedicate the European Month of Ergonomics to the Healthy Workplace Campaign right when the campaign partner scheme was installed. For ten years we have been communicating campaign messages along with the adequate ergonomics content in every October. Christa Sedlatschek, EU-OSHA Director and Kasia Jurczak, Member of Cabinet of Commissioner Marianne Thyssenand handled over the Campaign Partner certificate and award to FEES represented by Gyula Szabó, chair of the Communication and promotion Committee, in the Exchange of good practices in OSH Healthy Workplaces Campaign Partner event, Brussels, 5 - 6 March 2019. 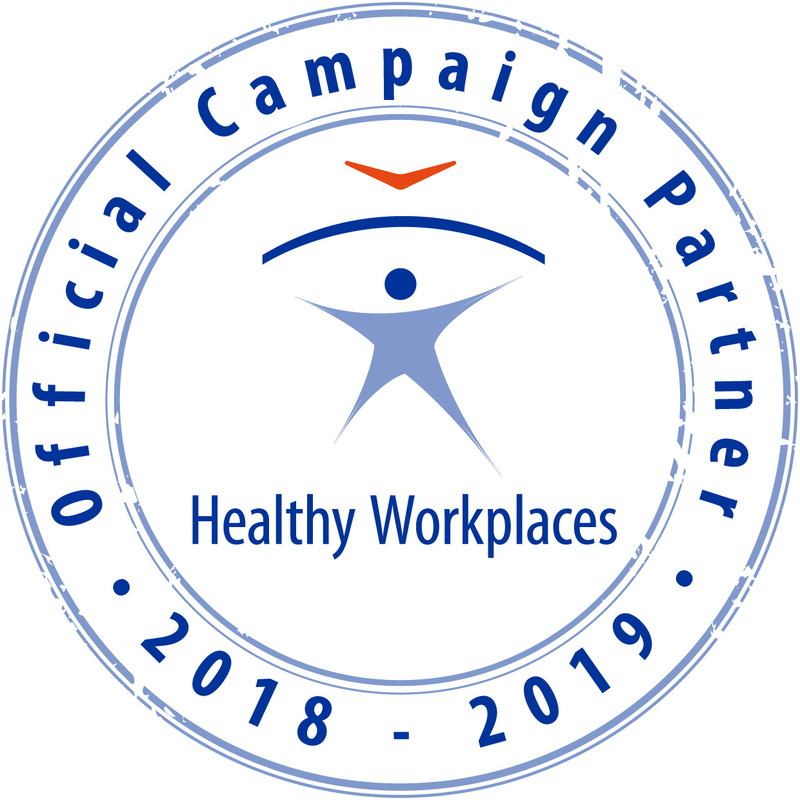 Click on the link to read the full report of the Good Practice Exchange event 2019: Campaign partners share their thoughts on the Healthy Workplaces campaign including a FEES interview. 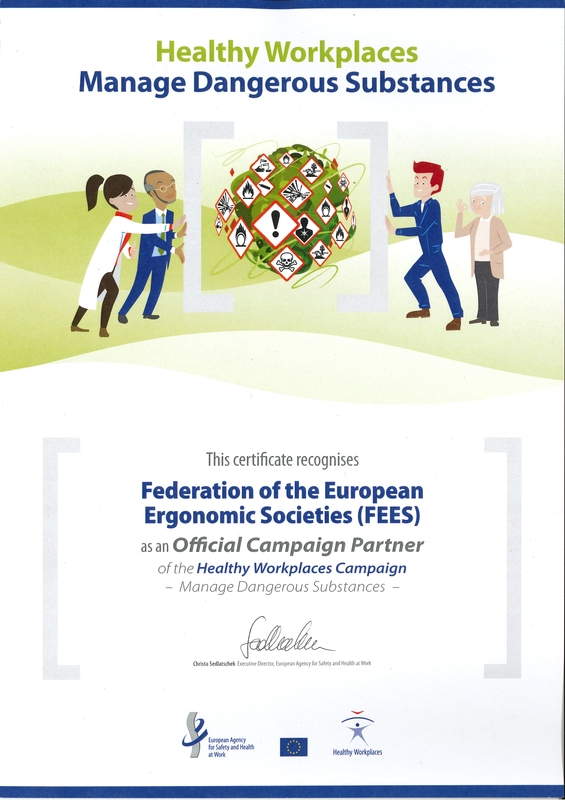 Thanks to the commitment of individual ergonomist around Europe, to the joint effort of national ergonomics societies and OSHA focal points and to FEES partnership with EU OSHA ergonomics is well represented in campaign activities. The regular EU-OSHA campaign partner meetings create further opportunities to represent ergonomics in the OSH community. We are ready to continue with the upcoming campaign on prevention of musculoskeletal disorders.